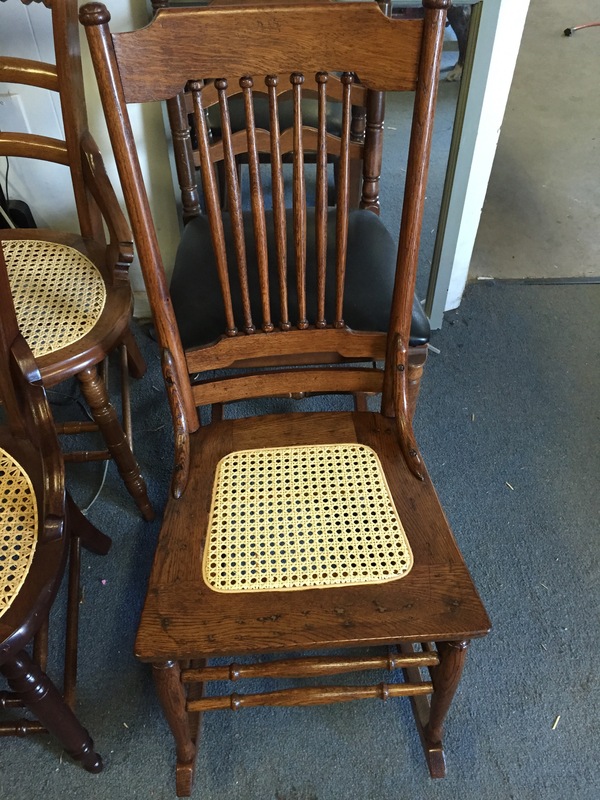 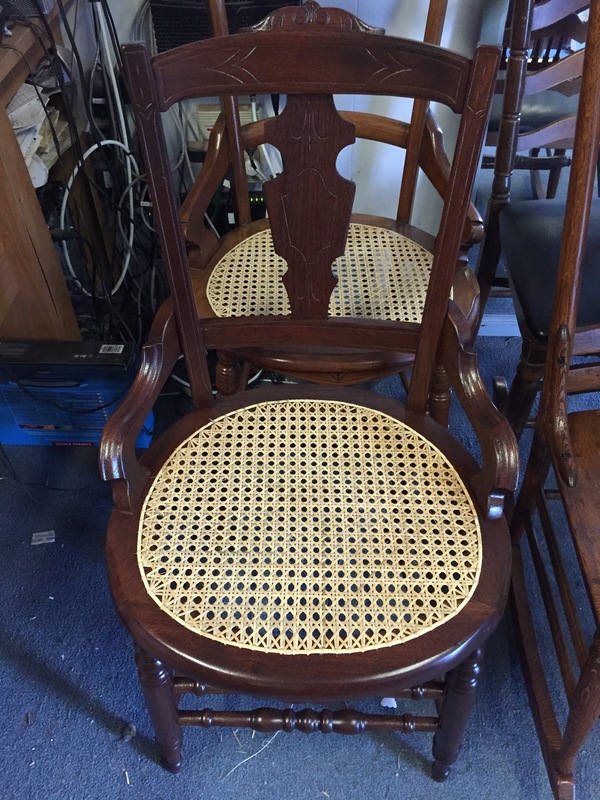 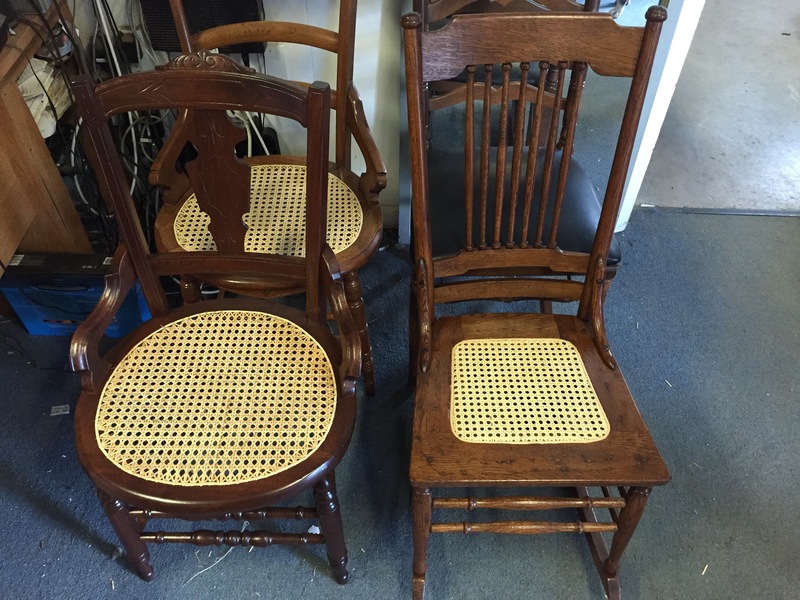 Hand caned walnut chair, press caned oak slipper rocker. 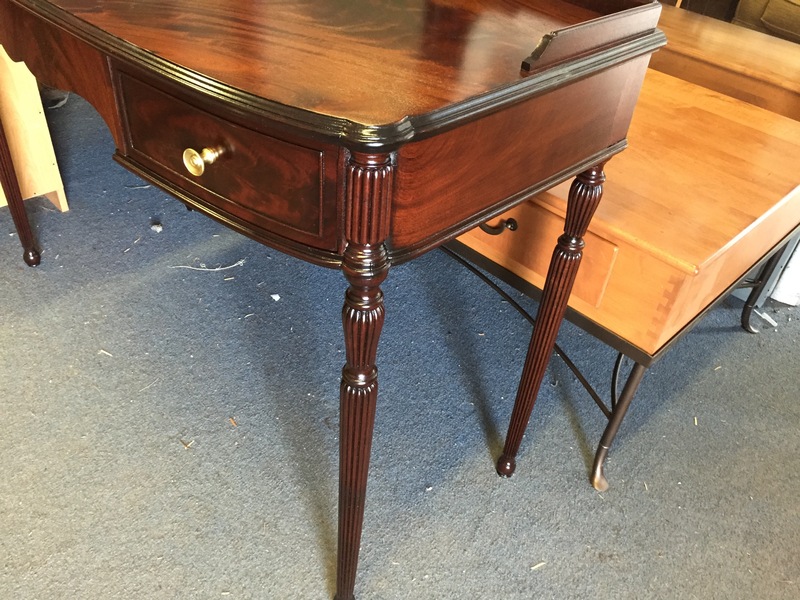 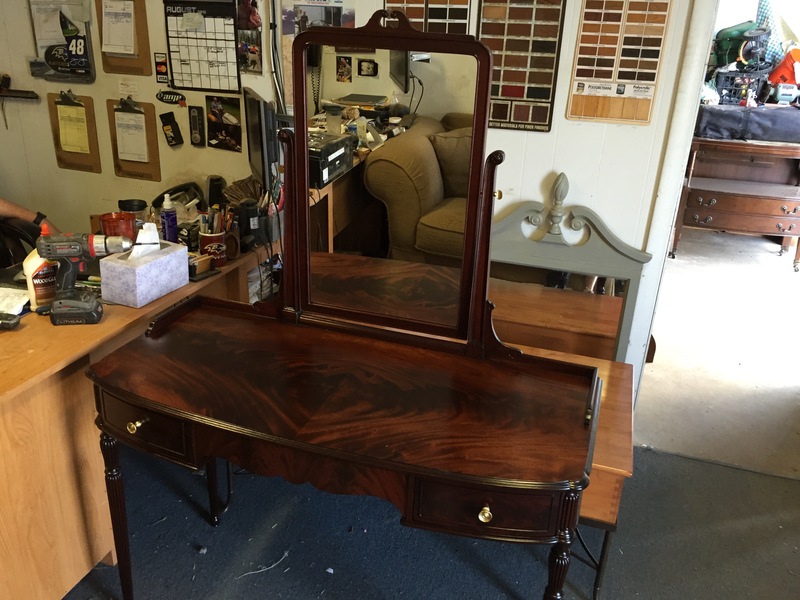 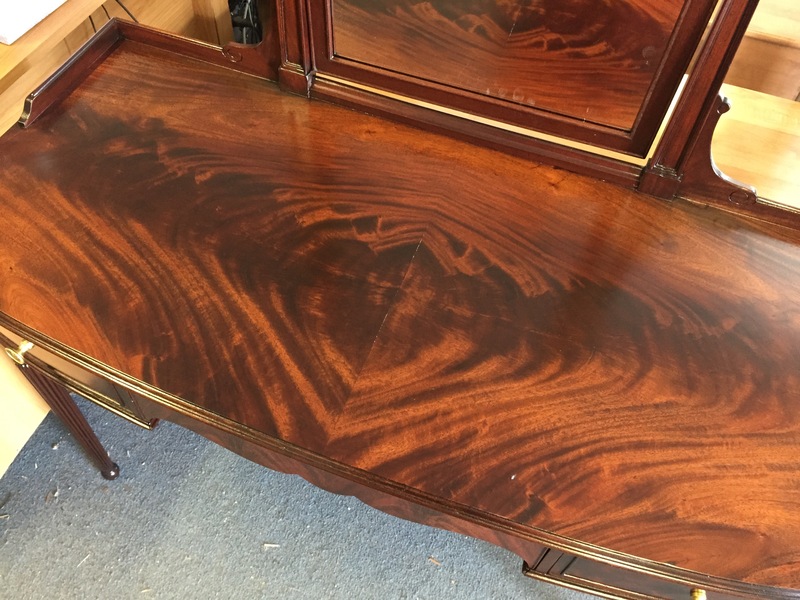 Beautiful Victorian mahogany vanity with attached mirror. 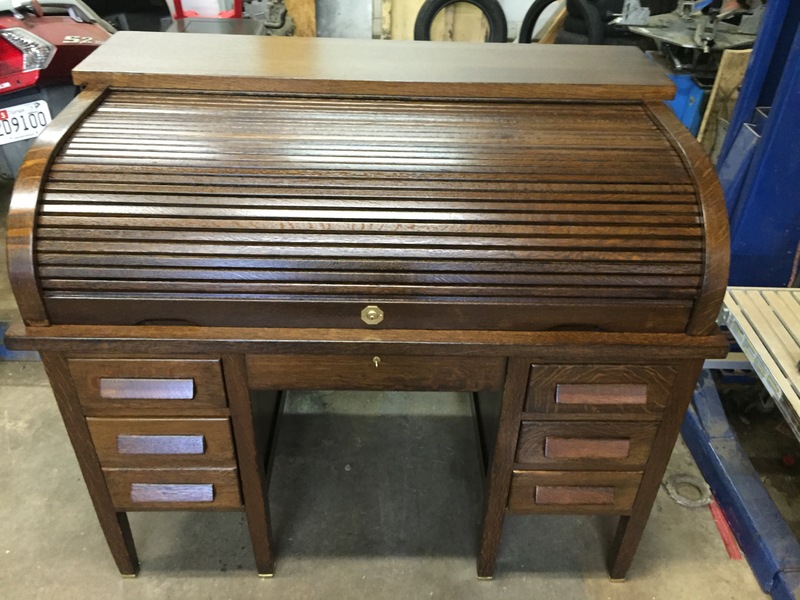 One big job this week. 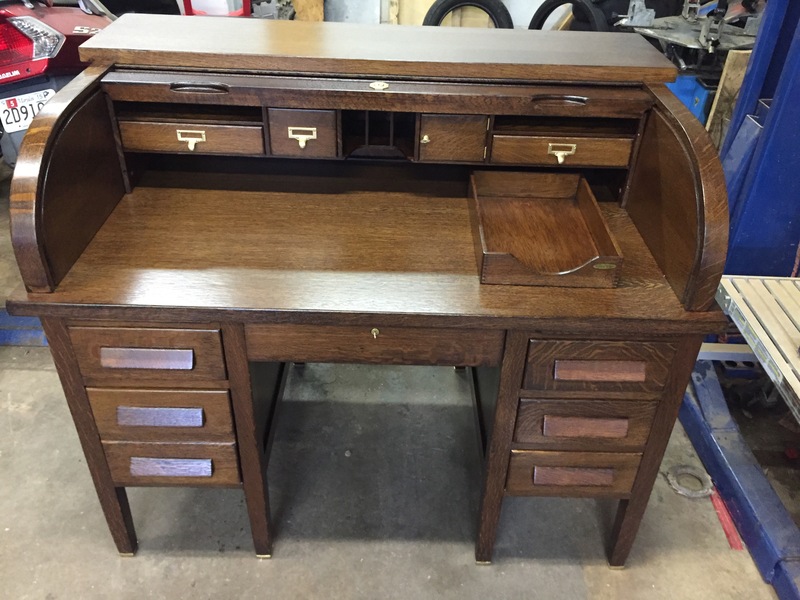 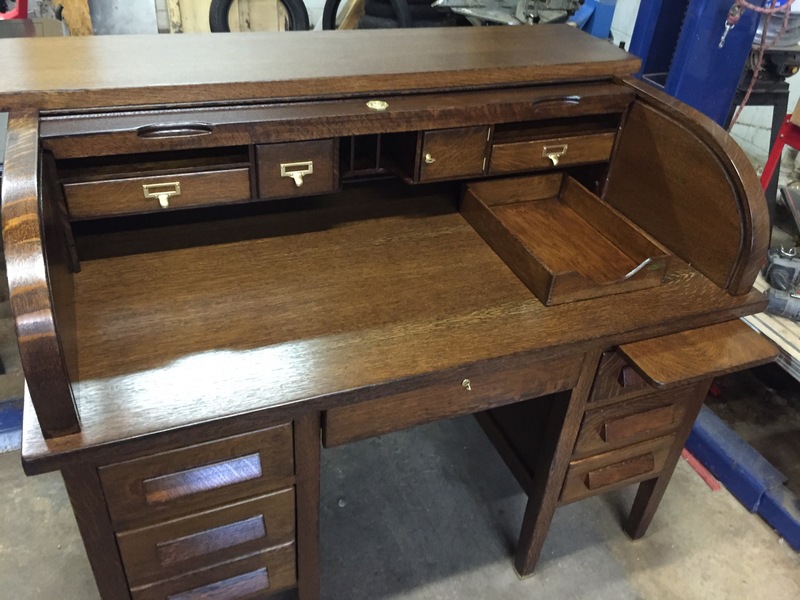 Solid Oak executive roll top desk from 1912. 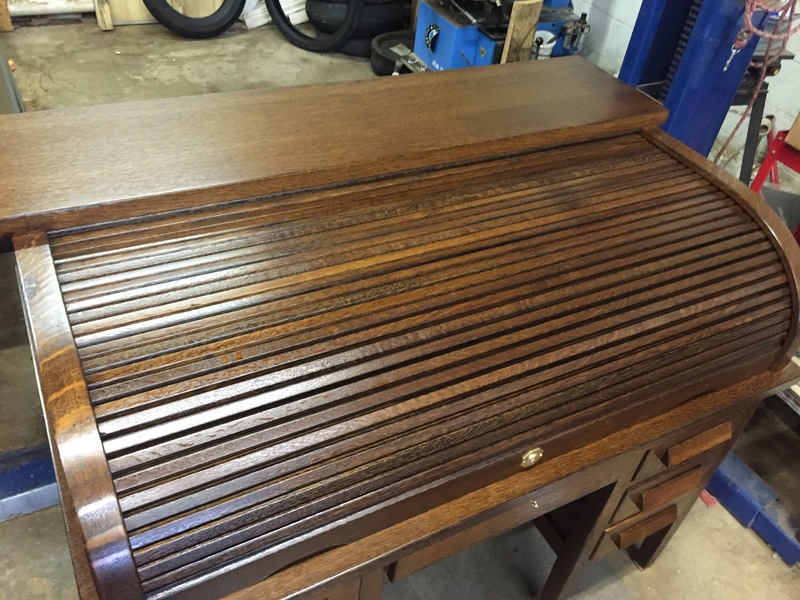 The roll top was falling apart and this whole piece was brought to us as 5 or 6 separate sections. 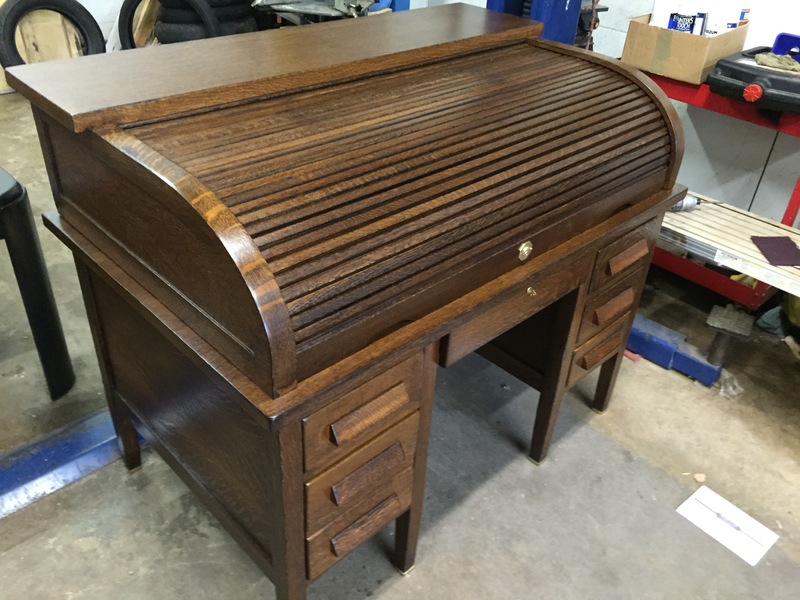 Fully rebuilt, and refinished in a Jacobean stain, it’s beautiful.